But there are other benefits, too, that aren’t as easy to put into a bullet-pointed list. 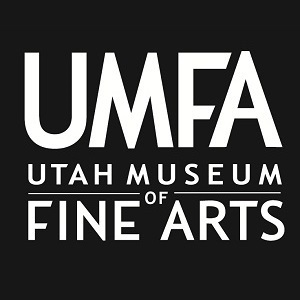 You are supporting an important arts institution in Utah that does good work in our community. 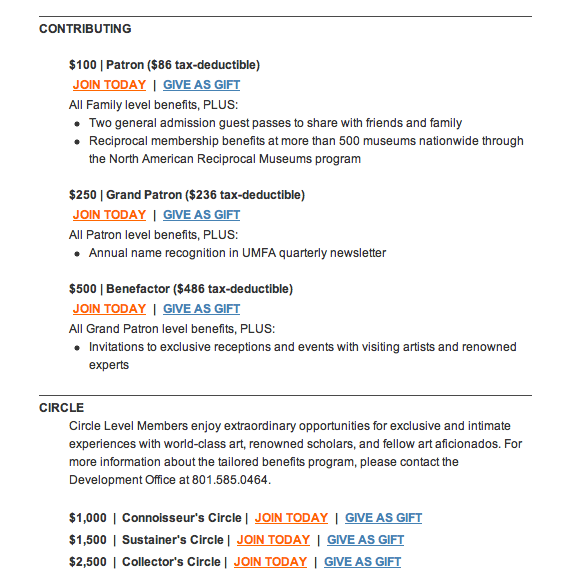 Your membership dollars will help sustain an organization that cares for 5,000 years of art, and that works every day to share art with the public. We work directly with students and teachers in public and charter schools, we bring exciting exhibitions to Salt Lake City, we have an outstanding permanent collection in our care, and, of course, we maintain a fabulous blog. 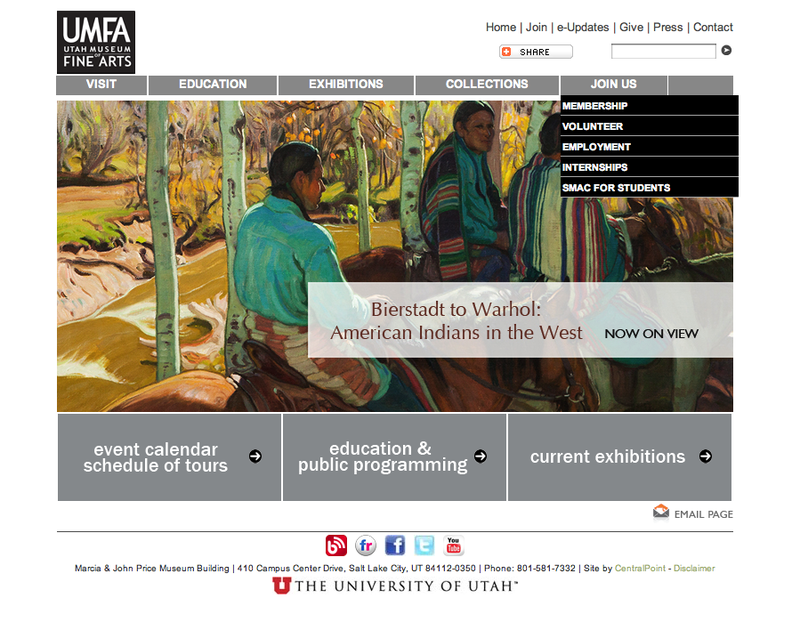 The homepage of the UMFA. Detail shot of our membership page: Become a member! 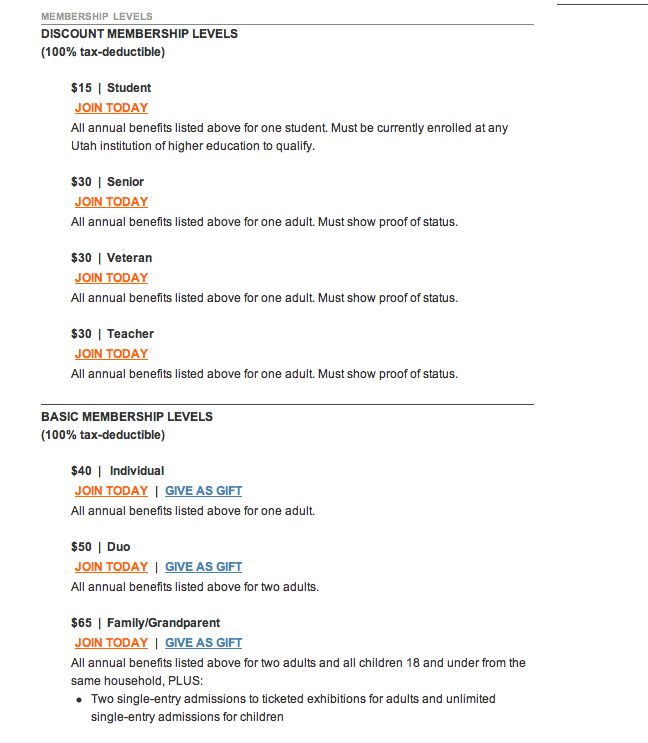 In addition to joining or renewing your membership, you may also choose to make a contribution. Making a contribution is another great way to ensure the sustainability of this excellent institution. I suppose there is a benefit that I forgot to mention, in addition to all of the intrinsic value of knowing you are playing a role in the efforts of the UMFA: tax deductions! And so many ways to give! And you can of course always reach our Development Office at 801.585.0464 to join, renew, contribute, or with any questions you may have. 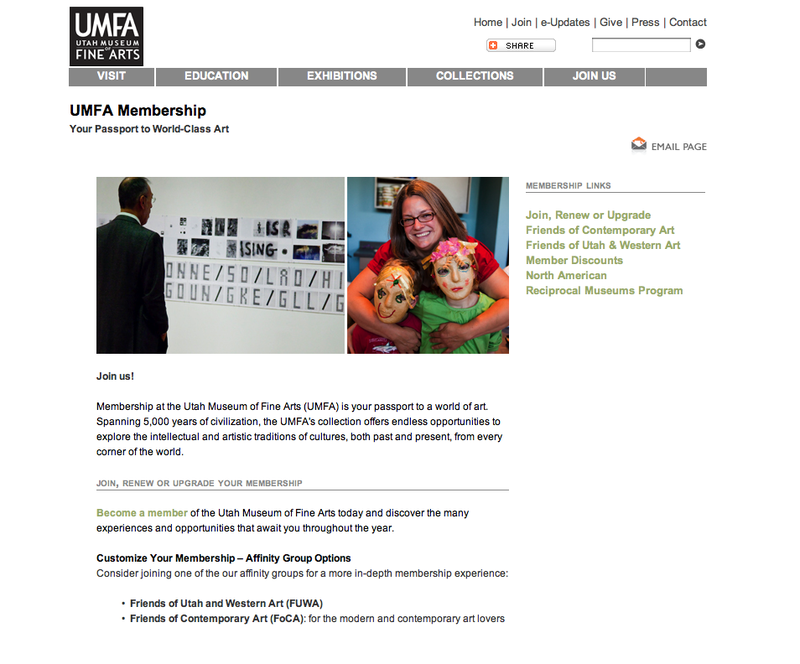 We here at the UMFA are excited about the work we do, and we offer memberships as yet another way to engage with our community and build relationships. Whether you’re a member or a contributor or not, we still hope to see your smiling faces in our halls and at our many events!